Mageplaza Order Export extension can make the export process automatically with the information as orders invoices, credit memos, shipments based on Cron scheduler. 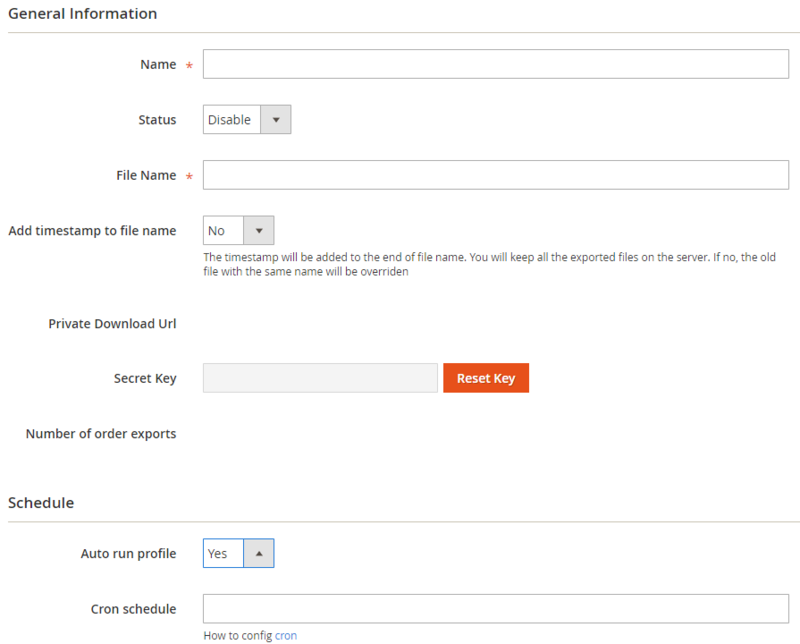 It allows you to export profiles to file formats such as CSV, XML, Excel XML, TXT, TSV, and Json. 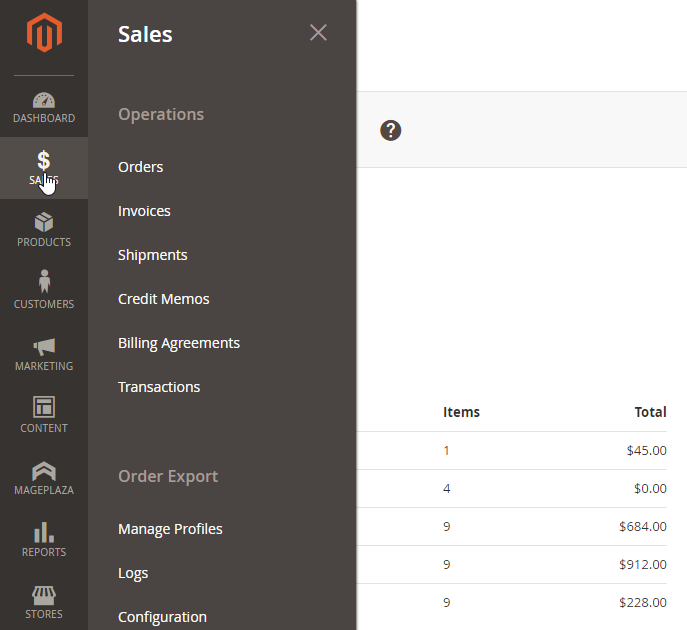 Available additional Magento 2 objects for export include: Order, Invoice, Credit Memo, and Shipment. Profile after you generate will be sent to the server by FPT/sFPT or sent to any email that admins want. Besides that, this helps you to save more time and money to quickly export the profiles. This extension promises to be the best exporting solution for Magento shop owners. 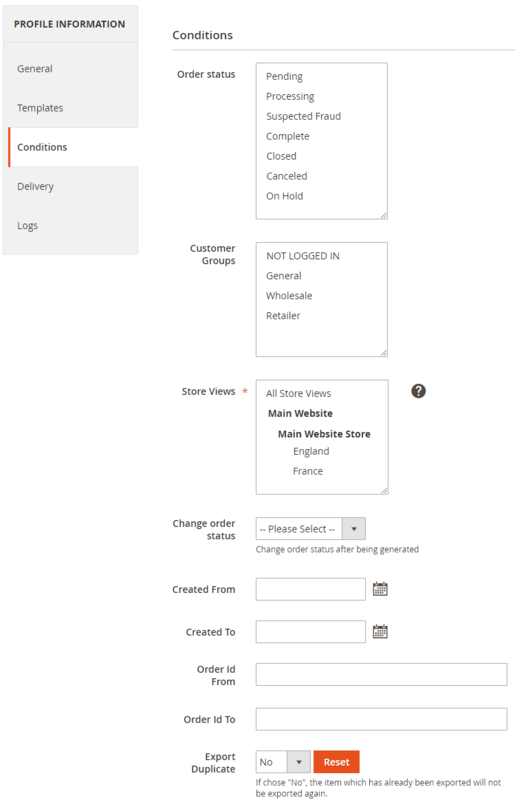 Mageplaza Order Export is definitely a must-have tool of your Magento store. From the Grid, admins can capture the basic information of the Profile such as ID, Name, Object, Status, File Type, Run Mode, Created Date, Generated On and Action can be done with Profile. Delete: Admins needs to tick the profile that they want to delete, then select Delete in the Actions (upper left of the Grid) to delete. A confirmation dialog will appear, select OK to continue deleting. Generate: Admins need tick tick the Profile that they want to generate data, then select Generate in the Actions dialog (top left of Grid) to Generate. A confirmation dialog will appear, select OK to confirm the data re-creation. Note that Profiles can be created or overridden on previous generated profiles that depend on the admin’s choice in the profile. Change Status: Admins need to tick the profile they want to change the status, then select Change Status > Enable/Disable1 in the Actions dialog (top left of the Grid) to change. A confirmation dialog will appear, select OK to confirm the change. In addition, Admins can Filter, Change Store View, hide/show Columns, Export Grid or edit inline. Add timestamp to file name: Choose Yes so that when you you download, the file name will auto-add the file downloading time into the file name. Private Download URL: the system will auto-create Download URL after Save. Download URL will have Secret key if possible. Anyone who has a Private Download Url can download the export file. Secret Key: Created a 32 character string when admins click on Reset Key. Secret Key will be automatically added to Private Download Url after Save. Number of order exports: After Generate, the system automatically updates the exported order number. These orders must satisfy the condition of the profile. Click on the Load Default button to display the template content that we have installed in the Template field. Admins can configure the Template as they want with ease. Export Duplicate: Select No so that the export file overwrites into the old file. However, if the file name has a timestamp add, the file is always created newly. 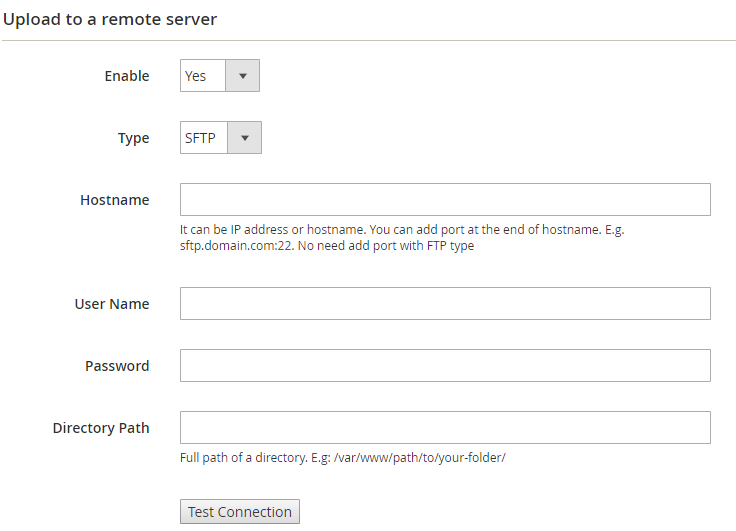 For FTP protocol, there is an option to use Passive Mode. We recommend that you choose this mode to avoid being blocked by firewalls/NATs/proxies from sending files to the server. If you want to save the file where to enter the path in the Directory Path field. 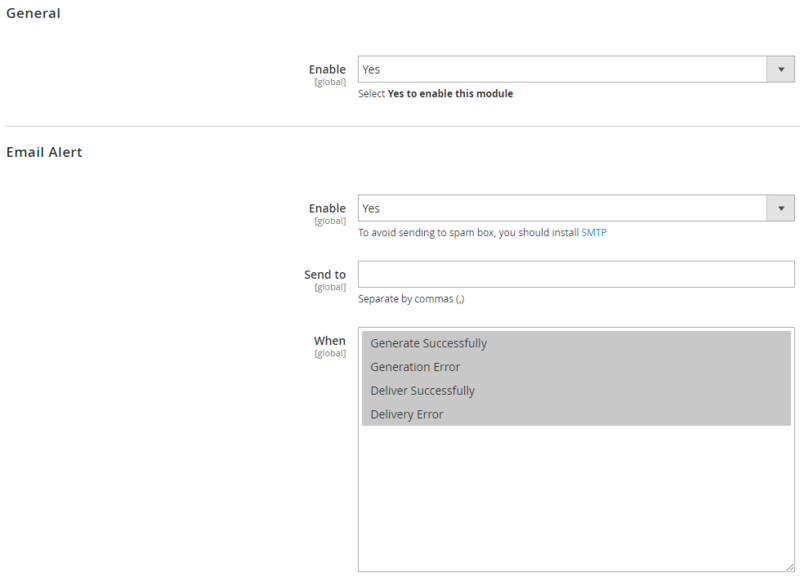 To change Email Template, Admins can create another Email Template under Marketing > Email Template. Check the update history of exported files. Admins can check the update history of the file in Logs. 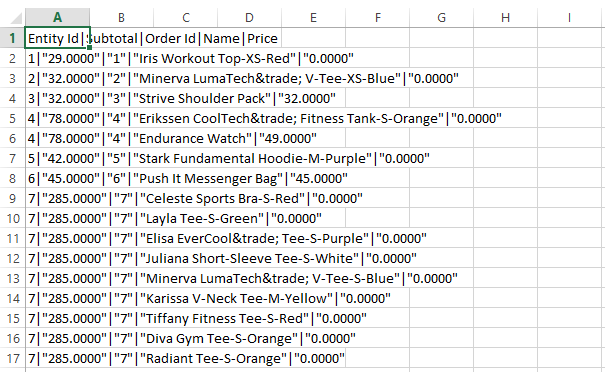 NOTE: Creating Profile of Invoice, Credit Memo, Shipment is similar to create profile of Order. However, they don’t have change Order Status section. This section will record all changes of profiles as status, type, notification, etc. When licking on any file, it will auto-download the file. The exported file will retrieve the type and template from the selected profile.